Susan never knew that one workplace accident would lead to twenty years of opioid addiction. After graduating from college, Susan moved to St. Louis, Missouri, eager to begin a career in occupational therapy. Ten years later, disaster struck. While transporting a wheelchair, Susan got caught between the chair and the van. Her back twisted, and she ruptured three discs in her spine. She was prescribed painkillers for the injury, and that was it. She was hooked. Susan managed her addiction for years before she was no longer able to sustain her job. Eventually, she moved to Minnesota for treatment because of the excellent programs in the state. At the end of treatment, Susan wanted to stay in Minneapolis. She’d made some friends and really liked the city, especially the positive and welcoming LGBT community. But when she couldn’t afford the rent for the sober house, she ended up homeless. 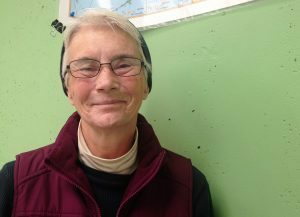 Two years later, Susan’s realizing her dream of moving into her own place through Our Saviour’s Permanent Supportive Housing Program! She says, “Oh, it’s awesome! I’m so happy to have my own place, to live alone. It’s absolutely wonderful.” As for her favorite thing in her new place, she pauses before answering, “Having a bathtub!” Sometimes, it’s the little things that truly make a place home.